Update 15 Feb, 2018: Seed has been chosen as the winner of the Developing Beyond award, a $500,000 year-long development competition created by Epic Games and Wellcome. Original story: In 2017, gene splicing is something that happens in front of a computer. But in the ‘40s and ‘50s, before the dawn of modern science, garage biotech was on the rise. Just as some hobbyists fiddled with radios and rockets, others were biohacking in the comfort of their own homes, combining plants to create new strains. Ideal, really, for a game. 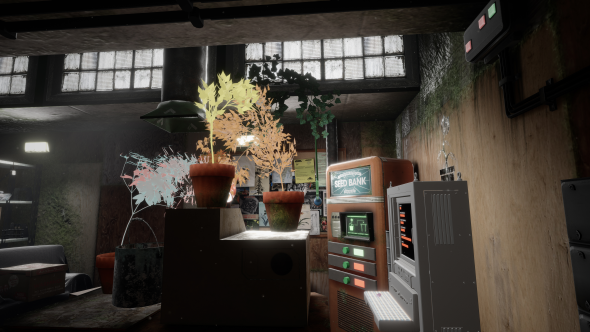 Seed is on its way to being just that – a game that turns the real-world art of plant-splicing into a calming and curious procedural puzzler in VR. You start with a handful of seeds and a machine called the ‘hybridiser’. 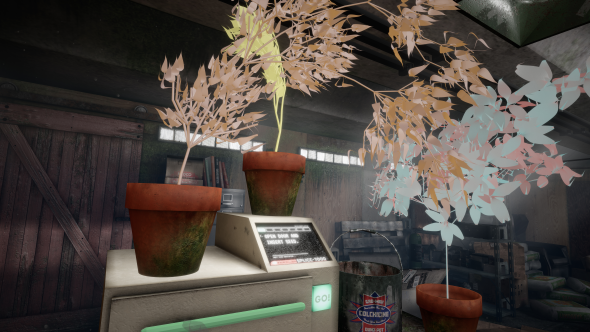 The hybridiser is a kind of genetic microwave that simulates splicing, cross-pollination, and genetic engineering – the dextrous arts of plant-mixing that “don’t play well in VR.” The system that defines how those plants mix, however, comes straight out a textbook. Literally. 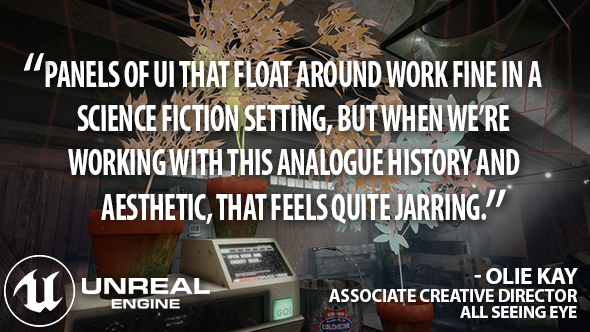 Working in Unreal Engine 4, Seed developers All Seeing Eye are using the L-systems first developed to model the growth processes of plants in 1968. The plants in Seed grow in fast-forward, glowing and graceful. This is a fanciful, idealised visualisation of a process that would in reality take days, weeks, and months. Yet this is precisely where that real-world procedural system kicks in. Rather than building a 3D model of a sunflower in Maya and spawn it into the world, All Seeing Eye have built a list of hundreds of attributes that define the way their plants look. Depending on their makeup, plants will grow leaves of different shapes and sizes, and stems of varying widths. The systems take factors like curvature and colour into account, too. 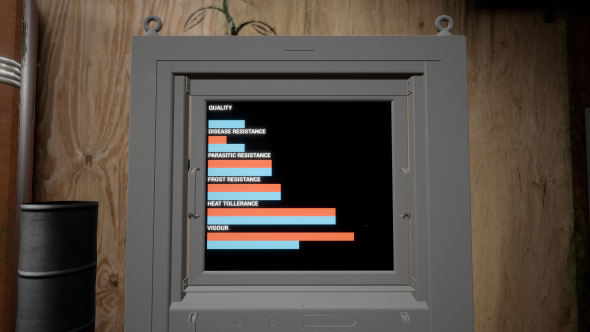 Seed is being created for Developing Beyond, a game dev competition hosted by Epic Games and Wellcome, in which a number of prototypes have so far been awarded funding. All Seeing Eye hope to succeed in the next round of judging in January, after which they have plans for fruit, vegetables, and flowers. “All of those are separate systems that we’re looking to add, ensuring that they remain completely procedural and complex,” Kay says. All Seeing Eye have developed Seed for the HTC Vive. 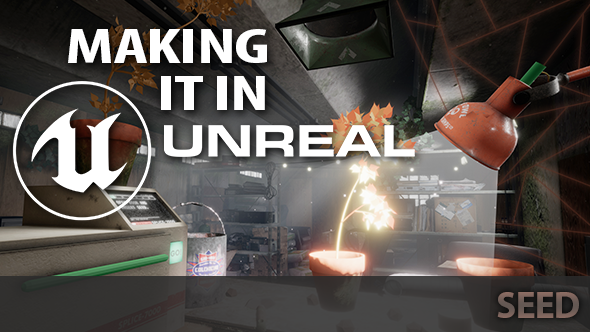 Players interact with their garage by reaching out and pressing the trigger on the hand controller to pick up a seed – and releasing to drop it again. The team are taking a diegetic approach: that is, ensuring that every sight and sound in Seed has an obvious and sensible source on-screen. In fact, everything about Seed, from its playful, homegrown science to its stripped-back VR, suggests a simplicity verging on the zen. You can read more about Seed on the All Seeing Eye site.Screenshots are unfinished and pre-alpha.Unreal Engine 4 is now free. In this sponsored series, we’re looking at how game developers are taking advantage of Unreal Engine 4 to create a new generation of PC games. With thanks to Epic Games and All Seeing Eye.